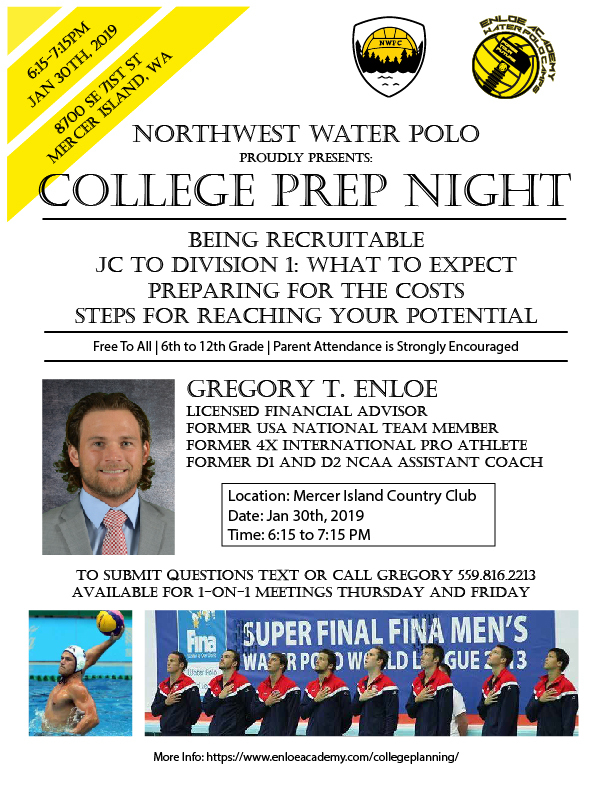 I am ecstatic to have the opportunity to once again see all my Seattle friends, players, and sharing my water polo knowledge with the area. Last year the college prep seminar went so well, Northwest asked me to come back. This time I have some new information I look forward to offering. We will have a very effective pool session and I look forward to spending time before and after.